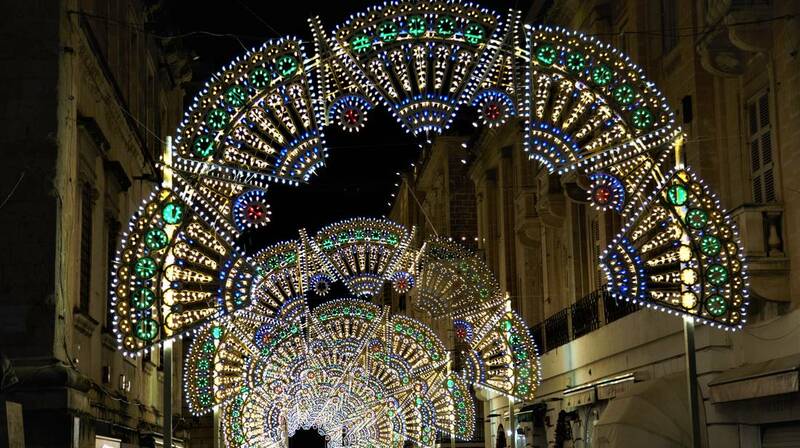 The Valletta 2018 Foundation together with the Republic Street Business Community launched Christmas Lights along Republic Street by Faniuolo Illuminazione. The Valletta 2018 Foundation ushered in the Christmas spirit earlier this evening in Valletta by lighting the Christmas street light installation in Republic Street. The lights, made by Italian light artists Faniuolo Illuminazione, were purposefully built for and to complement Valletta’s architecture. The artist group Faniuolo Illuminazione, founded in 1875, has a vast repertoire of light installations in various countries. For Valletta, the group has designed special site-specific installations combining tradition and innovation, while also maintaining eco-sustainability. The Christmas Lights are part of a collaboration between Valletta 2018 and the Republic Street Business Community Association.